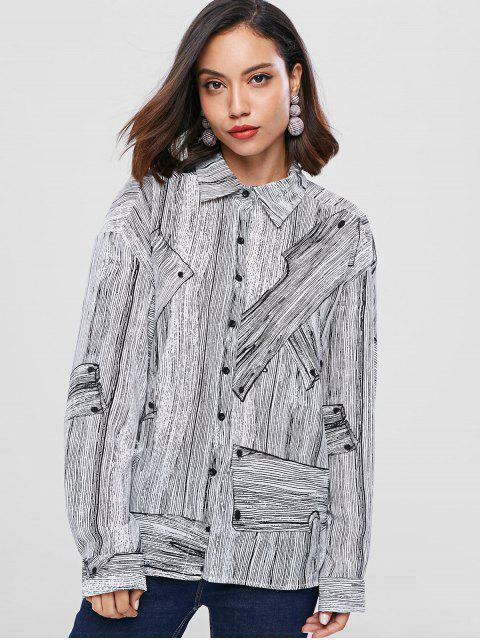 [57% OFF] 2019 Graphic Drop Shoulder Shirt In LIGHT GRAY | ZAFUL .. 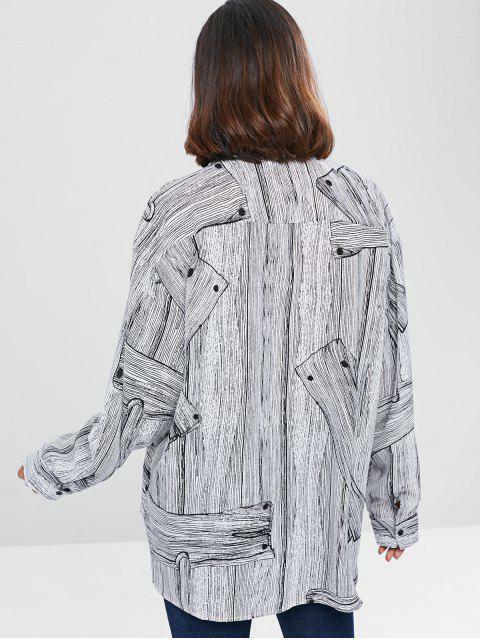 The 3D wood print is unique yet classic to goes with virtually everything in your casual wardrobe. 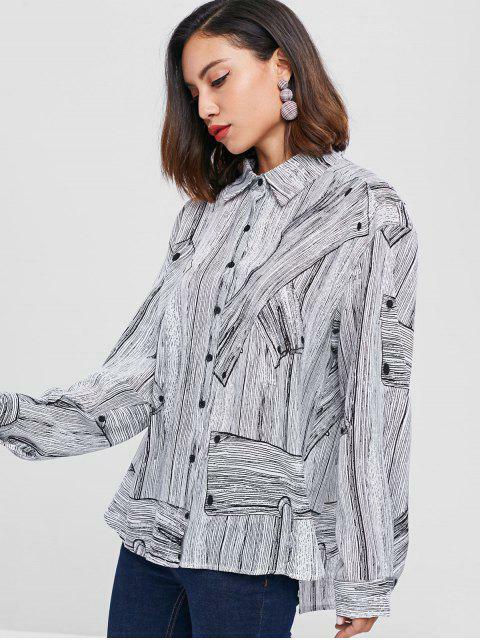 The shirt features a traditional shirt collar, and has long dropped roomy sleeves with cuffs on the ends. It buttons down the front with single row buttons. It is loose cut with a high-low hemline that is long enough to stay securely tucked in, or can be worn outside the bottoms.